Cinnamon 2.6 reached feature-freeze on the 15th of May and was recently given 2.6 labels. As we’re still bug-fixing it and it’s all very fresh out of the oven it wasn’t officially released/announced yet. 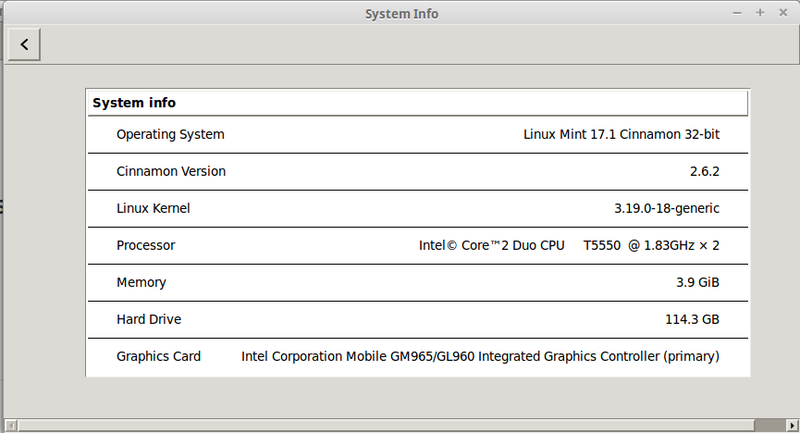 Early builds were added to the “Romeo” section of the LMDE 2 Betsy and Linux Mint 17.1 Rebecca repositories. Fedora users can also test the beta-test Cinnamon 2.6 by enabling updates-testing repo, available for all supported fedora versions (if you need to ask howto then it isn’t suitable for you!). Are any pre-release release notes publicly available? Just installed Cinnamon 2.6 on LMDE 2, it really looks nice! So far everything seems to be working just fine. I like the new screen savers too. Everything has a new look to it and it all seem more modern. You were not kidding about this being a major update! I will report any bugs if I come across any. So far though I really like the new version! Nice work! The screensaver supports webkit but also xscreensaver hacks. You can for instance install xscreensaver-data, xscreensaver-data-extra and xscreensaver-gl-extra to get more of them. xscreensaver-data, xscreensaver-data-extra and xscreensaver-gl-extra were installed automatically with the update on my system. It may be because of the install ‘recommended’option. Yes, we recommend them but we don’t depend on them. In Debian/Ubuntu these would be installed automatically. In Mint they wouldn’t, unless you changed the settings or used –install-recommends? Found a couple bugs already. Suspend and hibernate are missing from the shut down dialog and the desktop icons change to the gnome defaults before the system restarts. This in LMDE 2 Cinnamon x64. First, make sure you reboot after upgrading. Second, there’s a new gsettings key to make Cinnamon work with either consolekit/upower or logind. It’s “org.cinnamon.desktop.session use-systemd” and in Mint/Betsy it should be set to false. In Fedora/Debian/Ubuntu (or if you switched to systemd or lightDM) you might want to switch it to true. Cinnamon 2.4 was compiled a certain way, and depending on that either worked with consolekit/upower or with logind. Cinnamon 2.6 can be compiled the same way and work with either one of these depending on the value of that gsettings key. The value of that key affects the following components: cinnamon-session, cinnamon-settings-daemon, cinnamon-screensaver. I can reproduce the issue in Betsy.. it needs to be false if you’re using MDM though (MDM doesn’t support logind yet). We’ll either add logind support to MDM or we’ll separate the key for the 3 distinct cinnamon components. Betsy is a special case because it’s using consolekit, yet its version of upower was already partially amputated to accommodate systemd gaining some of its features. Clem, you really made more that what i think, and now you provide a way to fix all the cinnamon session problem that i can detect!!! A big, big thanks!!!! Thanks, it’s not perfect though… it turns out one key isn’t enough. We’ll make 3 distinct ones for CSD, CSM and screensaver. exploder, I assume you’re talking about the way the icons and gtk themes seem to fallback to some default theming right before the machine shuts down when doing a restart. I get that as well. I’ve had that as long as I can remember on Betsy but I’ve always run Cinnamon from git. The setting is set to false and I am using MDM. I have not had the problem with the icons before with LMDE 2 running on 2 systems. It acts like something is going on with the icon cache but I have not found anything that looks out of the ordinary. Else, I can only repeat: Good work! Bug? : After installation of 2.6.2 (LMDE Betsy in a VM) and a reboot, there is a new bookmark x-nemo-desktop in Nemo’s (2.6.3) bookmark bar and the “Places” menu, which points to the Desktop, too, along with the original “Desktop” bookmark. I restored my system back to the way it was before the upgrade. The only bugs I found were the issue with suspend, hibernate missing from the shut down dialog and the icons changing on shut down, restart. Everything else looked and worked fine. Guess I will wait for MDM to get updated and give it another try. For an early preview everything is really looking good. It sounds like the bugs I ran across will be pretty easy to fix. I might try the update on a test system that has the Ubuntu based edition installed tomorrow. Just installed it in my Mint 17.1 Vbox Machine. Only bug I’ve seen so far, is the themes box is completely empty. Just a wall of solid grey. Everything else seems to be working though, but again, this is in Vbox, not on real hardware. Does “cinnamon-settings backgrounds” show any error? I was a bit inaccurate with the description of the bug. It’s not the themes box that’s unpopulated. That looks and works fine. It’s the Add/Remove Desktop Themes box, that’s unpopulated. Just a wall of grey with nothing in it to see or click. Sorry about that. cinnamon-settings-backgrounds is fully populated and appears to be working just fine. Only little gripe/minor annoyance is that when I opened it up prior to having any pictures in my pictures folder, it initially displayed two pictures folders, but when I click the lower one in the list, it disappears leaving only the real one. This has now stopped happening since I copied a couple of random pics into the Pictures folder, but if I empty the folder, it starts happening again. A minor thing, but irritating non-the-less. Thanks, I can reproduce this. I’ll get that fixed. Ok that’s fixed in Git now. It will be part of the next package update. Clem, Just out of curiosity concerning consistency of appearances, but is there any particular reason why the theme chooser menu, opens up another window, from which to download updates and new themes, whereas the applets, desklets and extensions menus all use the same window but have a button that changes the appearance of the window to the update/download new themes? It just seems a bit odd and inconsistent to me. Hi, This was changed to new pop up when choosing a theme was implemented along with a preview option. I love the new look. Clearly someone put their heart in it. Everything is about the look and configurable now. It feels very mature. Make sure “org.cinnamon.desktop.session use-systemd” is in line with your system (logout and log back in after changing this value). the tlp 0.7-2 package now gives me a ‘suspend’ option. use-systemd was set to false as I’m on mint. This is the best Cinnamon version. I really love the panel intellihide feature and the new Cinnamon effects. Thanks Clem and the team for that. But there’s one missing feature and that is the ability to delete one panel or another. Correct, that is missing, or at least I can’t find it. Right-click the panel -> Modify Panel -> Remove Panel. I am not sure I understand the problems I saw in Betsy. My install was stock as far as the base goes. I am still using MDM and I did not change anything with the init system. I checked and this was correct “org.cinnamon.desktop.session use-systemd”, it was set to false by default. So is MDM causing the system to loose the suspend and hibernate options? Just trying to understand what went wrong in the upgrade under Betsy. Will an update to MDM fix the problem then? I am really looking forward to Cinnamon 2.6 in Betsy now that I have seen all the new features! No, MDM didn’t change. It never supported logind, only consolekit. Cinnamon 2.6 does things differently though. In particular it relies on either logind or consolekit+upower to detect suspend/hibernate abilities. The problem in Betsy is that we’re using consolekit but that the version of upower is useless because it was amputated upstream for some of its features to be handled by logind. Funny things is… logind is functional in Betsy, whether you use sysvinit or systemd. “But” MDM doesn’t support it. Long story short, if you switch Cinnamon to systemd mode, you’ll fix the issue.. but then your screensaver won’t unlock from MDM when you relogin. So to fix that, we either need to set the flag to true in Betsy and give MDM logind support. Or split that flag into three different flags (one for CSD, one for CSM and one for the screensaver) to make Cinnamon work with consolekit but get its suspend/hibernate states from logind. In plain English: It’s a bug, it’s impacting Betsy, we can reproduce it, it’s due to how Cinnamon 2.6 works and we’ll get it fixed very soon. Can you reproduce the icon theme going back to “gnome” on logout when running Cinnamon 2.4? Or is that a regression in 2.6? It is a regression in 2.6. I’ve seem this on Debian as long as I can think back. At least in the 2.x releases. it is not a regression, I always see in lmde2 2.4 as well for a moment when I shutdown the machine. Thanks for making that clear for me! The bug with the icons does not happen on log out, only on shut down and restart. That bug also is only present in Cinnamon 2.6. Under Cinnamon 2.4 in Betsy the icons display fine on shut down and restart on the same hardware. While the system is running on Cinnamon 2.6 all the icons display perfectly. For some reason it is like the desktop icons change to sort of a fall back mode for a few seconds and it happens every time. I rebooted the system several times and it did it every time. Don, can you set use-systemd to true, restart the computer and see if you can still reproduce the issue with the icon theme? I can if you explain how to do it.I have never changed the default init system before. I need the path to edit the file is all so I make sure I do this right. I changed the value to true but when I run the top command I do not see systemd running. That value doesn’t make you switch to systemd. Whether you run systemd or sysvinit is up to you. And whichever one you run, logind should work fine with it. That value just tells Cinnamon whether to listen-to/use logind or consolekit/upower. In Mint and LMDE, logind and consolekit are both functional (no matter what init system you use) but upower is incomplete in LMDE. – First, we’ll replace the “use-systemd” key, with 3 separate keys for session, csd and screensaver. Typically that would allow in LMDE to set it to true for session and csd and false for screensaver… in other words that would immediately fix the issue. Thanks Clem! Sounds like this will be fixed soon. I still can’t get over the transformation! This really looks good! Ok, I double checked the file, I have it set correctly. No change with the icon problem and suspend and hibernate are still not on the shutdown dialog. 1. Languages settings take about 3-4 seconds each time to open. 2. Sound applet has small resizing-issue. Click applet > Launch player…/Output device… > click again to collaps it. The width of the box changes slightly, even though there is no need for it? 3. Same as above happens when right-clicking panel > Troubleshoot…/Modify panel… it’s the same for all themes. 4. Keyboard applet broken. It simply won’t show when added to panel. In 2.4.X you could highlight it, but it’s invisible and behind other applets. In 2.6 it doesn’t even highlight. 5. Network Settings box doesn’t have the correct size. It has a scrollbar, when the box should simply be slighly taller by default. 6. Some buttons have incorrect width/graphic when switching between them (in settings, the top buttons). Effects, Applets, Desklets, Preferred Applications, Sound are some that I noticed. 3570k, GTX 660, LM 17.1. Most of these were in LM 17 as well. Could you expand on #6 a little more. Not sure what you’re meaning by incorrect width. Maybe a screenshot? You just need a newer mint-themes-gtk3. This was sent as an update in Romeo (a day after Cinnamon itself). I solved the problem with #4. I had only one keyboard layout, but once I added a second one, the applet became fully operational! I know that Cinnamon 2.6 will be more stable in a few days, but currently I consider the current cinnamon 2.6.2 is more stable than the last stable Cinnamon 2.4 taking all points of view on account. At less is my impression in Ubuntu 14.04. This is thanks to the hard work of the Cinnamon team. So, really thanks to all!!! 1. The blank window while I click “Add/remove desktop themes…” button in themes settings. 2. I have set to attach dialog windows to their parent, and if I for example delete some file, then the parent window stay grayed after the dialog disappear. I can use the window as usualy, but it’s grayed. However thanks for that release, I really like the new panel behavior, brightness applet merged with power applet, how settings look etc. The checkbox “Show week numbers in calendar” on Cinnamon Calendar applet settings doesn’t toggle the week number display on/off unless Cinnamon is restarted. On Cinnamon 2.4 it works without a restart (i.e. typing Cinnamon –replace in terminal). Minor point: right-click on desktop produces menu whose style is inconsistent with desktop theme (square corners, dark-blue highlight regardless of setting for desktop-theme). The desktop context menu is handled by Nemo not by Cinnamon. Because of that it uses your Gtk theme for styling and not the cinnamon theme. It looks very well, well done to you and your team. it clears them alright but it then closes the Menu on me. Is there a setting I can change to stop it from closing the Menu on me? I can also confirm the blank window when I click “Add/remove desktop themes…” button in Themes settings. Glad the fix will be coming in. I also noticed that the update to Cinnamon 2.6. * switched my touchpad from “Edge scrolling” (in 2.4. *) to “Two fingered scrolling” (in 2.6. *) in the “Mouse and Touchpad” settings after the update. This might seem trivial at first but if a user whose touchpad is set to edge scrolling suddenly can’t scroll any of their windows after updating unless they actually “grab” the scrollbar, they might find it a bit disconcerting. Otherwise, so far so good. I’ll be testing this more thoroughly of course and I’ll leave “Romeo” enabled. I’ll also update the 64-bit version of Linux Mint 17.1/Cinnamon installation on my desktop PC later on today and go bug-hunting on that one as well. 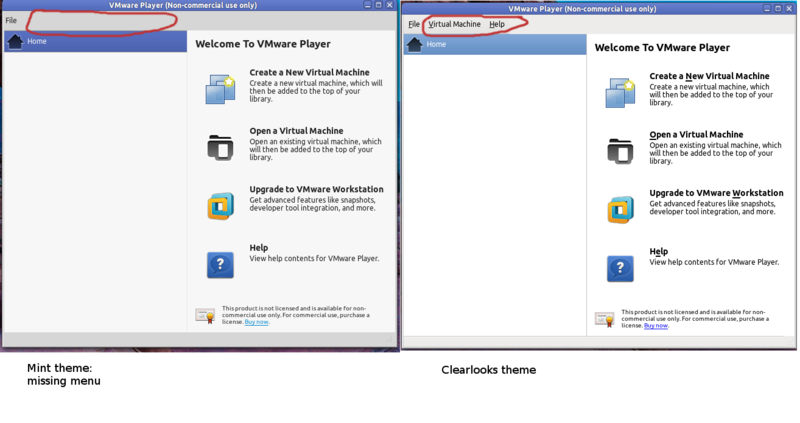 I can confirm the blank window in “add, remove desktop themes” in Betsy too. Software Manager once opened, is much more responsive in finding applications I’m finding. on the far left I have “Home” and “File System”. Both of them and arrows on the left of them to expand. Yet, using the directional arrow keys on the keyboard, i cannot expand either Home or File System on the far left, I must use a mouse. On the main window, I can use the directional arrow keys to expand folders. but I cannot use “Tab + shift” to return to the far left where “Home” or “File System” are listed. One really really pedantic thing – I’m not sure i can articulate it correctly, so please ignore if it makes no sense! It relates to the Home folder in Nemo. Assume I have selected “Toggle location Entry” such that I have the squares of hard disk, followed by the word Home on another square to the right, and then the Android folder on another square to the right again and the next folder on another square to the right and so on RATHER than the path written /home/gerry/Android/Sdk/platform-tools. So I’m within Home/gerry/Android/Sdk/platform-tools and I then click on the Home square to the right of the square showing a hard disk drive. Should it not bring me directly to the Home folder on the far left? Instead it links to the Home folder listed under File System in the far left menu. But double clicking the Home folder under the File System, brings you up to the Home folder listed on the far left. It’s just an unnecessary step I would have thought. Appearance of nemo was initially fine. After some time, opening nemo again resulted in an ugly window with square corners, square buttons, and dark blue and dark grey highlights. Reboot corrected this. Serialization of large-file copies worked well in a quick test copying two large directories from usb thumb drives to desktop. It would be good to have a grey Mint-X desktop theme in addition to the other colors (which are very nice). USB image writer still pegs processor when writing is done. The USB image writer (mintstick) is not part of Cinnamon. It’s a tool for the Mint distro, regardless of desktop. That being said I thought this issue was fixed in git but I’m not sure if that fix is in the versions that Mint currently has. … KB shortcuts continue to work really well. Thanks for this very nice, new version. Just do to View, Show Hidden Files. Nemo Scripts, actions, and extensions. Cool. Could you possibly include an example script, please? Hey Clem, would you please consider refreshing the Linux Mint logo to something more modern and polished, square, rectangular or circular? I love your distro but please consider a design change for the logo. Recording desktop (ctrl+alt+shift+R) crashes Cinnamon. Can’t reproduce the issue with the pointer. It works as expected here. Ok, I have a similar setup but the left is primary. I’ll try moving them around and see if I can reproduce it. Ok, I can reproduce the panel barrier issue. Works fine with the primary on the left but not on the right. If you go full screen in video mode (Totem or mpv) using the multimedia key doesn’t show the popup (like sound volume adjustment). Thanks. I can reproduce it. And you already fixed it… What an efficiency !!!! A little more information about the desktop icon bug. Just a few minutes ago while checking for updates I noticed the desktop icons were gnome default. This was in a normal session with Chrome and mintUpdate running. No other icons were affected but the two I had on the desktop. The menu and panel icons were fine, only the desktop icons seem to be affected by this. I thought this might be of help in narrowing this down. I mentioned this because on shut down and restart there was no way to see if other things were affected. I am using the Mint aqua theme icons but I have seen the same behavior with all the included default icons. Anyway, at least I can say for certain that the problem is only with the desktop icons only. Speaking of shutdown, something I have seen since months in LMDE (1 and now 2). I have never understood the schema behind it to be honest. The bottom one is what it looks like when I hover over “Sound Effects”. @JosephM It appears my link doesn’t want to show up. Thanks, that is actually fixed in the Mint-X gtk theme. It just hasn’t made it out to users yet. #6 appears to be fixed in mint-themes-gtk3 3.10-8. Thank you! KB shortcuts for suspend and shutdown do not work. KB shortcuts for suspend, hibernate and shutdown should be fixed in cinnamon-settings-daemon-2.6.1 (when tagged and released). I have problems with Themes: Add Themes window doesn’t appear Problems with Theme In the menu. Start a transfer (huge) from a HD to a USB drive for eg. Close the window. You expect the small icon in the tray to show. It will not show. You will only have a small empty space acting like the icon. The update so far is visually fantastic but I’ve got one major issue. I’ve been unable to find any setting in the revamped System Settings to alter my screen’s brightness, even the old brightness panel applet no longer works as it did in Cinnamon 2.4.8. I had to manually edit /sys/class/backlight/acpi_video0/brightness in order to change it. It’s now in the Power settings. Same for the applet, the power management applet handles batteries, brightness and keyboard backlight. I’m only seeing two sections in the Power Management settings, Power Options and Extra Options, neither contains any form of brightness slider. I’ve taken a screenshot to illustrate my issue better. I’ve also extended the window a bit to show that no settings are hiding outside the window’s content space. Update: Brightness slider in new Power Manager applet works but the brightness slider inside the Power Management settings is still missing. If you are talking about refreshing the online themes in cinnamon-settings->themes->add/remove desktop themes, it seems to be working fine here. I’m seeing a strange bug with the sound applet and gnome-mplayer in cinnamon 2.6.2 from Romeo, which appears to be updating the position label in the player control at an incredibly fast rate – this results in the “cinnamon” processs suddenly jumping to ~20% cpu every time gnome-mplayer is playing. Disabling “Control Players” on the sound applet reliably fixes the higher than normal cpu usage when gnome-mplayer is playing. Other players that the sound applet can control, such as Clementine, are ok, and don’t seem to suffer from the same problem. Additionally, restarting the desktop with alt+f2, then “r” seems to fix the problem for an already open instance on gnome-mplayer, the problem then returns the next time something is freshly played. I had a couple of extensions that needed some tweaks to add in support for version 2.6.2. Just adding support for “2.6”, and “2.6.2”. Besides that, no problems yet. Looks awesome. You should just be able to say “2.6”. Clem – As others say, Cinnamon Settings look beautiful now and evolving as a modern DE :) Accessibility is not adapted to new style? Also, reported a issue that occurs case of zero panels https://github.com/linuxmint/Cinnamon/issues/4200 Do read the report. There are a few things that still need to updated in Cinnamon settings. Accessibility as you mentioned but also some of the xlet settings. You’ll notice the settings for individual applets still use the old style. I noticed that the Dropbox tray icon do not show although dropbox is running. Update on that. I delayed the start 10 seconds. Working now. In Network Settings applet window, when entries like DNS have more than a few, horizontal scrollbar appears. But had the DNS entries been shown/ put one by one it would look nice. many thanks to mint team. I seem to be the only one complaining about this: my system became very sluggish after I updated Cinnamon. When this happens, the Cinnamon process uses around 50% of CPU power to the point where my system becomes almost unresponsive. Try running the top command next time your system slows down to try and pinpoint the problem. It is as I wrote before, I have Conky displaying my top 5 processes and Cinnamon gets the biggest slice of all. I didn’t mention it before but my kernel is 3.16.0-25 if it helps. Where can I make notice about bug? If it is here, so What I see after upgrading to Cinn 2.6 and what wasn’t present in 2.4 is that in the frame motive “simple” in maximized window the controls “-” (minimize),  (maximize, X (close) change of color to black and are not visible at all. It doesn’nt happen with another style of frame. I’m fairly new to Linux but I decided to give this beta a try anyway, and I’m glad I did! The updates to the UI are great – I had remarked in 2.4 that while the window animation effects were great, fading between different windows in the settings panel was noticeably missing. I know it’s nothing special but it tickled me. I was also thrilled to see multi-monitor panel support added, another feature I had missed when switching from Windows! There’s still a couple of bugs I’ve experienced though. My file copy dialog is a blank window that looks like a little sliver. I tried maximizing it from the panel, it just maximized to a blank window. With my Logitech G300 mouse, the mouse sensitivity setting has little to no effect. I noticed this with Cinnamon 2.4 too. In the Display panel in settings, my second monitor isn’t displayed and there’s no way to calibrate the second monitor without installing dispcalGUI. I have two Acer monitors of the same model. For the logitech mouse, if you want to set a high sensitivity, look at solaar. First off, i’d like to thank you very much for the best cinnamon version so far! Also i don’t know if someone else reported this issue but just in case it hasn’t already been reported i decided to report it anyways. I have this problem too, have you found a solution yet? Not sure this is the right place to raise bugs, so please let me know if you’d prefer I raised an issue in github. The problem I have is that the new version of the sound applet won’t let me select my external USB sound device anymore. It also does not list the name of the device, it only says “Analog Output” (http://screencloud.net/v/z1NY). Clicking on the second “Analog Output” from that list does not work at all (i.e. nothing happens when I click). Going into “Sound Settings” lists the device the same way it used to (http://screencloud.net/v/vw4P), but although “Test Sound” appears to work (the visual part of it, anyway), no sound can be heard. The device affected is HRT MicroStreamer. I am not sure what the other analog device is, but I’m guessing it’s the sound device on the motherboard. Just to clarify, this was on 2.6 that I had installed earlier today. I have now reverted back to 2.4 and it is working again, so it was definitely a regression bug in 2.6. I lost all my system sounds in the process, but I can live with that I guess (unless there is an easy way to restore them?). I’ll be happy to upgrade again to 2.6 to test if needed, but for now I’m back on 2.4, as I need my sound card. I freshly installed Mint XFCE, then apt-get install cinnamon, then added romeo and upgraded, then logged off and started cinnamon first time. For me, if I call energy settings, I get -(nothing)- as if I had not just issued any command. There’s a second energy setting for XFCE which I never started within cinnamon. Also, I just named my networked connection, and this resulted in TWO profiles. I tried to delete the unnamed which did not work out. Finally, I deleted the just-renamed one – and that resulted in both profiles being deleted.